Southern Spring & Stamping’s plant floor in Venice, Florida, includes spring and wire form machines, stamping and four slide production, EDM, fiberoptic laser cutting, in-house tool and die manufacturing, sheet metal fabrication, and CNC machining. Photo courtesy of Southern Spring & Stamping, Inc.
An OEM called Southern Spring & Stamping, Inc., with a manufacturing problem. The OEM had meant to order a part from a supplier in China months ago but waited too long. It was a tiny part, a quarter-inch by a half-inch, with a tolerance of ±0.002-inch. The tiny part was assembled into a device that makes an artificial tree smell like a pine. The part was missing, and Christmas approached. The part itself was a challenge. It had dimples, and was stamped, extruded, and lanced. It had tight tolerances that were unforgiving, like a typical three bears problem. Too big? Too small? “They either wouldn’t assemble, or they’d fall apart,” said Richard Mulvihill, general manager of Southern Spring & Stamping, in a phone interview with Design-2-Part. “Just right” meant inside that 0.002-inch window. The OEM’s problem was simple. Christmas was coming. Its own customers needed the parts. Could Southern Spring & Stamping create hard tooling and stamp the first part within 28 days? Could it print 4 million parts in the first week, and 24 million within 12 weeks? When the answer came back “Yes,” the OEM wanted to know if Southern Spring could make 32 million. 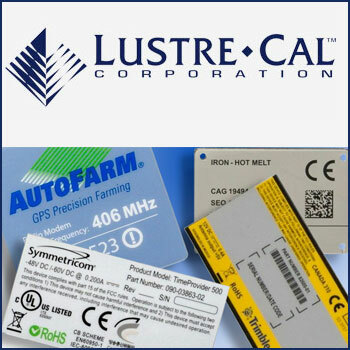 In addition to progressive die and four-slide stamping, Southern Spring & Stamping also works in CNC machining, tool and die making, sheet metal fabrication, and all types of prototyping. It has since 1957. In the course of perfecting the part used in the pine scent device, Southern Spring learned how to create dimples in a part. A dimple, Mulvihill explained, is a convex shape on one side and a concave shape on the other. This part had one side that was decorative, and the opposite side improved grip. In other parts, a dimple can help with heat exchange, disrupt air flow, increase the surface area, or contribute to a heat sink. Mulvihill said the tricky jobs constantly teach employees new skills, and the tricks they use to stamp one part often help Southern Spring land the next job. In one example, workers learned that by using a soft material, they could push a part beyond what they had considered to be its breaking point. The part is four inches by six inches, with a ±0.002-inch tolerance, for use in a heat exchanger. Another job, involving soft copper about 0.005-inch thick, taught Southern Spring that sometimes a soft material must be pulled and pushed at the same time through a die. “It’s like butter, but it’s only a tiny bit thicker than paper. The trick there was how to move something with the consistency of butter. We push it. We pull it. To consistently do that was one of the challenges we learned on that project,” Mulvihill said. The tiny copper circle is used in a heat exchanger. Southern Spring makes parts for aerospace, automotive, medical and dental, industrial, electronics, marine, military, consumer products, transportation, and many other industries. It operates plants in Venice, Florida and in Stokesdale, North Carolina. 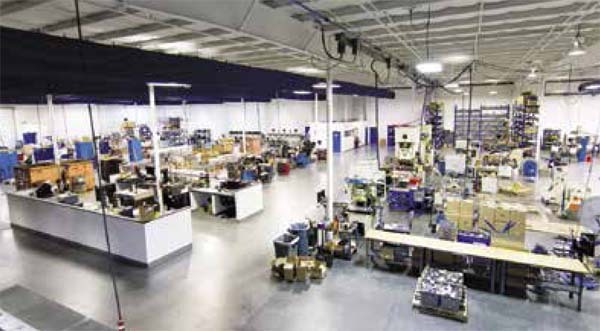 It is family-owned and operated with approximately 75 employees manufacturing parts in roughly 100,000-square-feet of space. Both locations of Southern Spring are ISO 9001-2015 certified through 2020. Mulvihill explained that Southern Spring & Stamping has had a long-standing policy within its tool and die department that younger workers would learn from older workers to preserve and pass down the accumulated knowledge of the older tool makers. “The wisdom of our tool makers who learned 50 or 60 or 70 years ago was passed on to the toolmakers who started 20 or 30 years ago,” Mulvihill said.